Networking is required for front-end and intra-node communication on Qumulo clusters. Front-end networking supports IPv4 and IPv6 for client connectivity and also offers support for multiple networks. Intra-node communication requires no dedicated backend infrastructure and shares interfaces with front-end connections. Clusters use IPv6 link-local and Neighbor Discovery protocols for node discovery and intra-node communication. NOTE: Currently only the left-most network card is utilized on the 4U platforms. The card on the right is reserved for future expansion and is not available for use. NOTE: Most 850nm and 1310nm optical transceiver pairs are supported. IMPORTANT: Use the two left-most ports when looking at the back of the node for cabling. IMPORTANT: This option requires a Mellanox Connect-X 4/5 NIC. NOTE: 10G to 1G Switch is not supported. 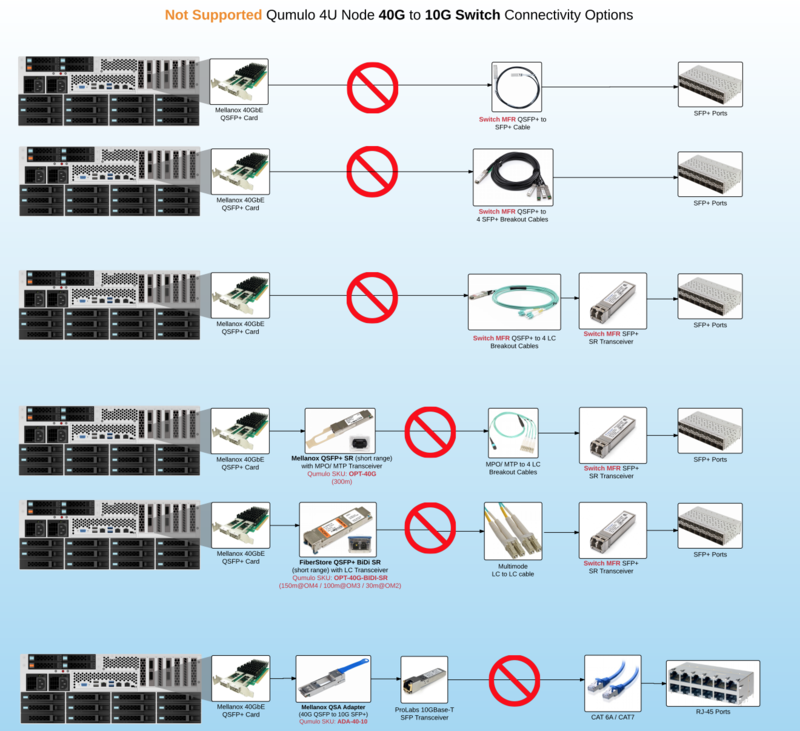 IMPORTANT: The BiDi option and long range optical transceivers require a Mellanox Connect-X 4/5 NIC. Interface Bonding combines multiple physical interfaces into a single logical interface. Bonding enables built-in redundancy so that a logical interface can survive a physical interface failure. In the case of LACP, additional bond members increase the aggregate throughput. 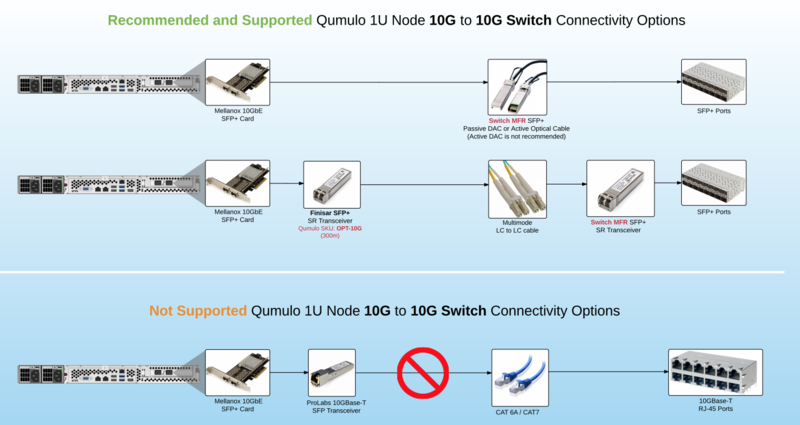 Note that LACP is Qumulo's default network bonding and preferred configuration.